it was a hell of a day last monday. seemed one of those days where they was just one thing after another that cause me to go “ARRRGGHH” there are ways to make these days way better. 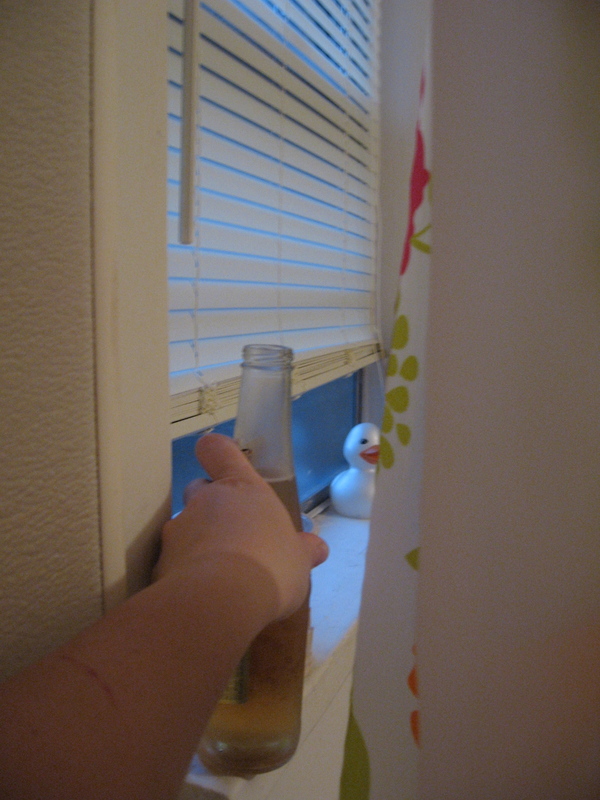 one of the first one’s i discussed with steph…..beer in the shower. oh yeah why not? i mean how many times have you heard of women taking baths with a glass of wine. me beer in the shower. of course we contemplated the fact you might get water in your beer. the genius solution? just turn your back to the water! of course i can totally her my mom “tisking” at this but some days that is just what you need. and of course a fabulous dinner makes the day end on an up note. for this meatless monday i channeled my mom’s dad, ford, who was known to fancy a peanut butter-tomato sandwich now again. let dinner making begin. music choice for the night to had to be the footloose soundtrack. my pb-tomato-cheddar sandwiches were constructed and put into my sandwich maker. i love sandwich makers. 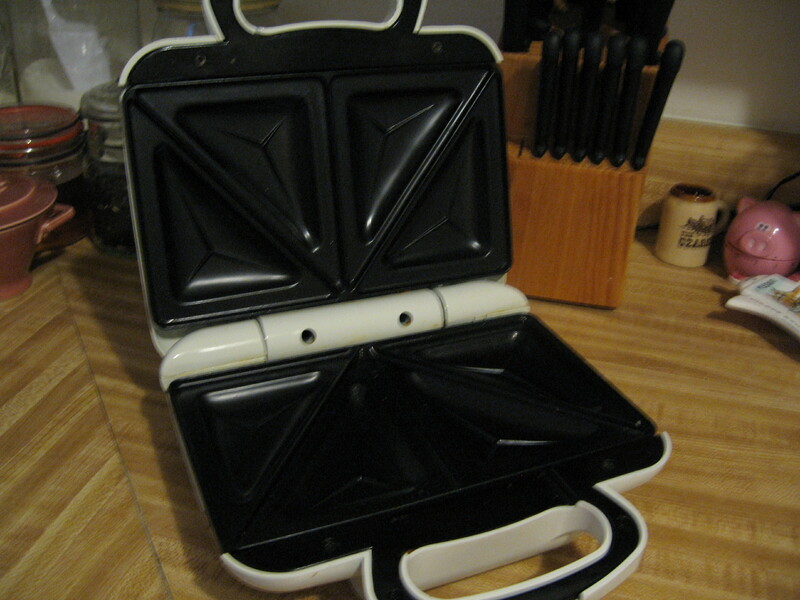 i have actually had this sandwich maker since middle school. i started saving betty cocker points for it. not knowing how many points i would need i saved a ridiculous amount. 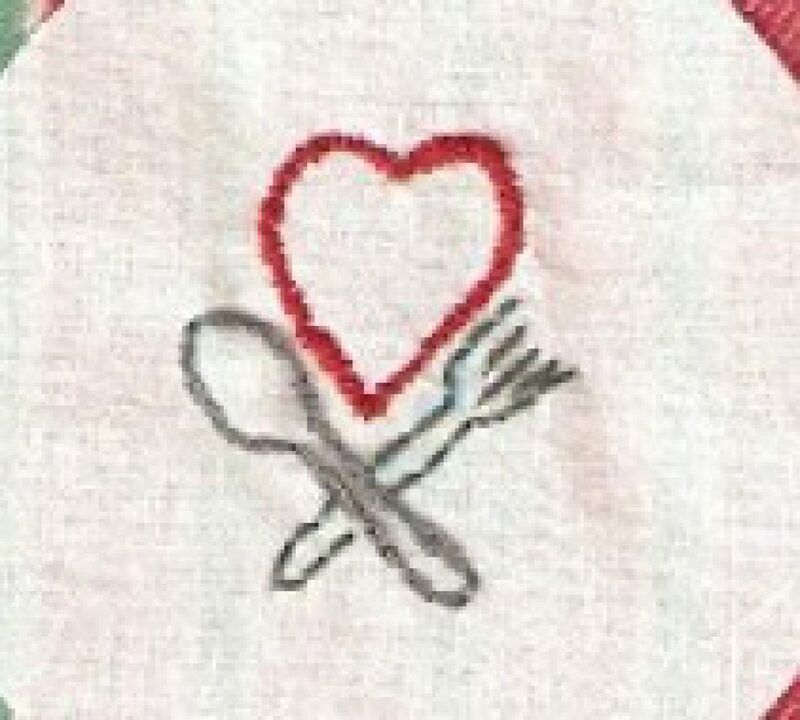 when i finally sat down with the catalog i discovered i had enough points to get 4 fiesta ware place settings. thus was born my fiesta ware collection. 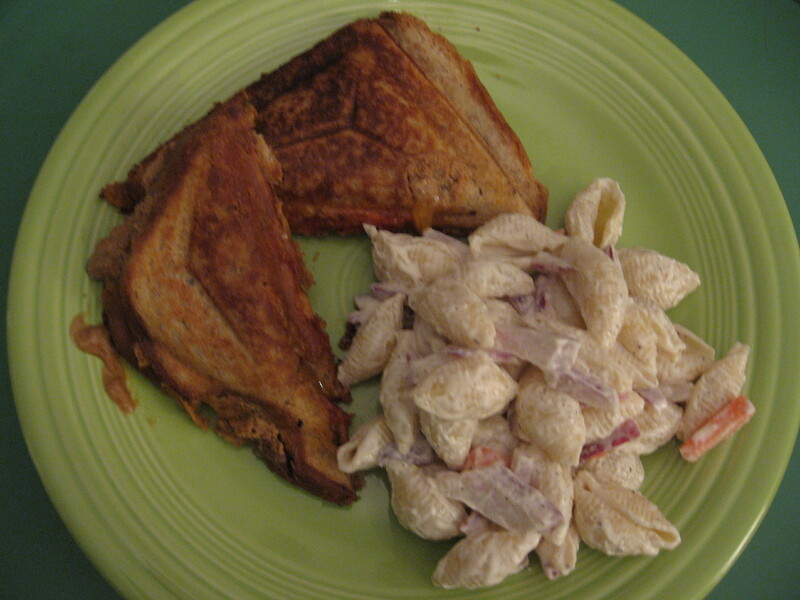 i paired my sandwich with some pasta salad and made my day a lot better! while i ate i watched an episode of “Family Ties” and now having made it through 2 seasons of this fabulous 80s show i have fully concluded the keaton family would have been down with meatless mondays.